Most app developers that are part of the Apple Development Program have no idea they are sitting on a data goldmine. Last year, App Analytics on iTunes Connect started to provide insights on where customers discover apps. 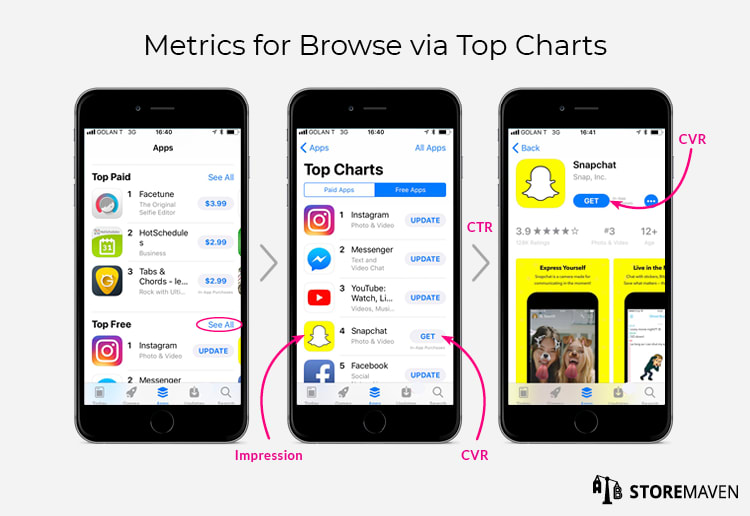 These key metrics on source types allow you to see how users find your app within the App Store and even see your top referring apps and websites, making it easier for you to optimize your marketing campaigns. App Analytics on iTunes Connect is included with the Apple Developer Program membership and requires no technical implementation whatsoever. Most developers either don’t know they have this mega resource or don’t know how to use it to their advantage. Let us be the first to show you, step-by-step, how to use iTunes Connect to collect and analyze your App Store data and know when and how to pivot your App Store marketing efforts accordingly. 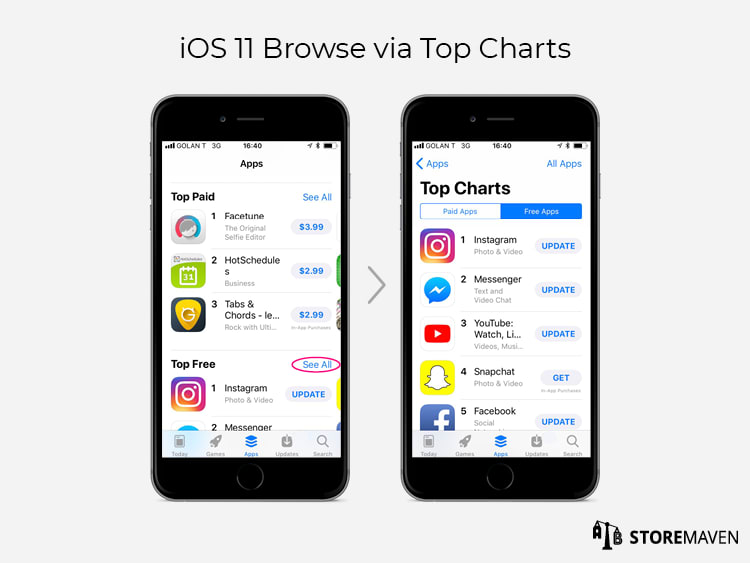 In this guide, we will use the example of measuring the impact of iOS 11 on your app marketing performance, but theoretically you can use the steps laid out within this book to measure and monitor the impact of any changes made to your App Store. For example, you can use these steps to measure changes made to your marketing strategy (e.g., new traffic source, new targeting, etcetera) or changes made within the store (e.g., your rank within a category, your keyword optimization efforts, etcetera). 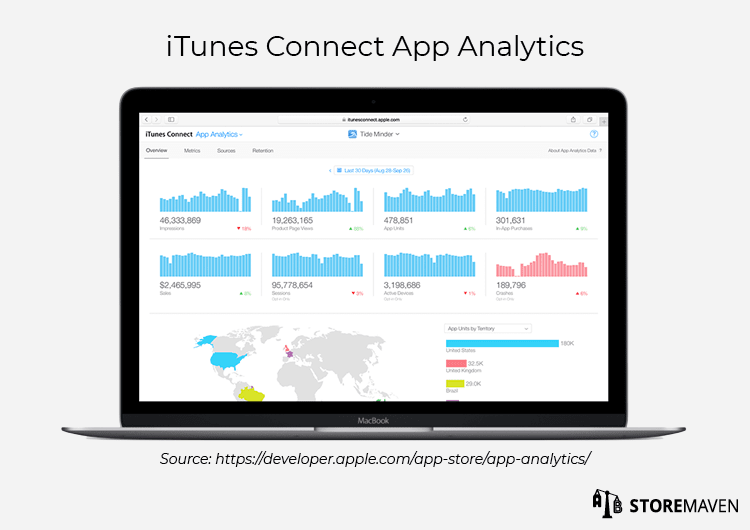 Yes, App Analytics on iTunes Connect is magical—let us show you why! 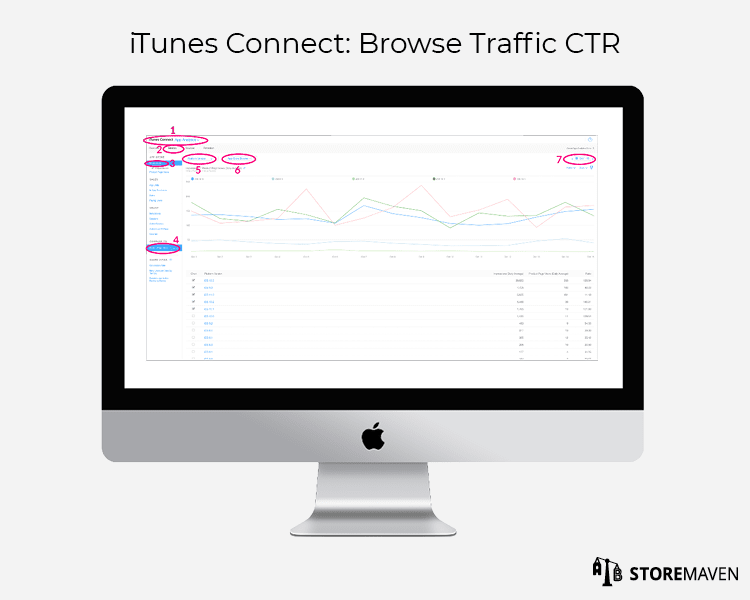 The only way to assess the impact of any change made to your App Store is by using iTunes Connect to segment your traffic into three distinct sources for analysis: search traffic, browse traffic, and referral traffic. After segmenting your traffic sources, there are three metrics that should be analyzed. These metrics include: impressions, click-through rate (CTR), and conversion rate (CVR). This book is broken down into three chapters. Each chapter is devoted to one of the aforementioned traffic sources and will detail how to collect and analyze relevant data on iTunes Connect. We will also include action items according to your analyses. 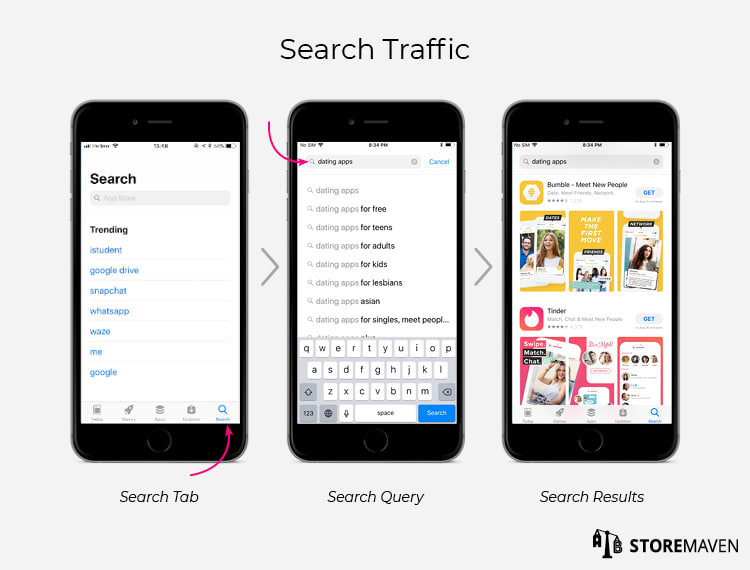 Simply put, search traffic includes all visitors that arrived to your App Store Product Page by entering relevant keywords in the search tab and seeing your app in the Search Results Page. Regardless of how your app is ranked, once a user sees your app in the Search Results Page you have increased your reach through search traffic and your goal is now to convert users. To convert a user means to get them to install your app. As depicted, there are two ways to convert users. A user can either install directly from the Search Results Page by clicking the Get button or they can click through to your Product Page and install there. Conversion optimization is another aspect of ASO that has more to do with optimizing your creative marketing assets in a way that helps users easily understand how your app meets their needs. Now that you understand the search traffic funnel, it will be easier for you to understand the metrics used for search traffic analysis. In order to analyze your search traffic, you have to understand the significance of three important metrics, as well as know how to collect respective data for analysis. These metrics are depicted and include impressions, click-through rate (CTR), and conversion rate (CVR). 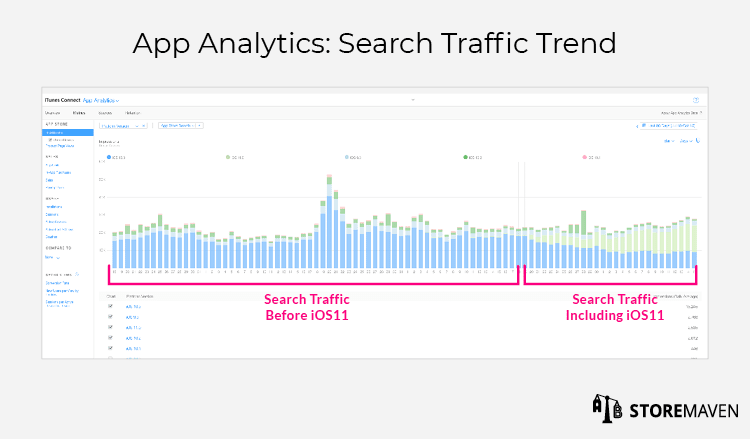 Impressions, within the context of search traffic analysis, are an indicator of your volume of organic search traffic within the App Store. More specifically, it refers to the number of times your app was seen in the Search Results Page. The first step in analyzing your App Analytics is to look at the trend of your total search traffic (all bars in the graph). After examining the trend, identify the time period when you first received iOS 11 user traffic. 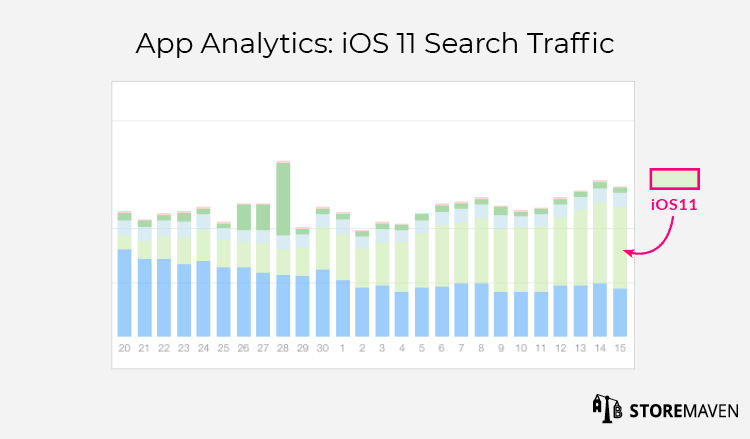 Compare search traffic before iOS 11 to search traffic including iOS 11. In the example provided, we do not see a significant change. The next thing to examine is your breakdown of Platform Version traffic. Since developers can only have one iOS version of their App Store, it is important that you continuously track which version brings the most traffic. This will help you determine which version to optimize for. Note that the adoption rate for a new iOS version can be rapid. If you have seen no change in your total search impressions volume, this indicates that for relevant keywords, your app is likely the first app that appears in the Search Results Page. When your app is the first app in the Search Results Page, your App Preview Video gets the spotlight. Your first Video will play automatically, followed by the app listed below yours. Hence, now is an optimal time to test your App Preview Video assets. For video testing ideas, read this and this. If you saw an increase in your total search impressions volume, this indicates that for relevant keywords, your app is likely ranked second or subsequent in the Search Results Page. Since you know that for a majority of related search queries, your app is not ranked first in the Search Results Page, you can leverage Search Ads to increase your search impressions and simultaneously push your competitors below the First Impression Frame. If you saw a decrease in your total search impressions volume, this can be a result of having a low rank in the iOS 11 Search Results Page for relevant keywords. Your low ranking can be a result of the ways in which Apple has optimized their search engine. One way Apple optimized their search engine for iOS 11 was by reducing the number of app title characters from 50 to 30, preventing developers from jam-packing keywords into their title. Additionally, the subtitle (up to 30 characters) now serves as a new asset that developers can use to describe the utility of their app and encourage users to install. Since Apple has begun indexing keywords found in the subtitle, the subtitle can simultaneously be used for search optimization. Below the line graph that shows CTR per iOS version, there is a table that details Impressions, Product Page Views, and Ratio. Use these figures to create your own table like the one seen below. In this example, we can see that iOS 11 caused a decrease in the CTR. If you did not see a change in CTR, this is likely a result of not leveraging all the opportunities available on iOS 11 to increase your CTR. For more information on how to test these assets, read this, this, and this! If you saw an increase in CTR, we hypothesize this is a result of having images that are too hard for the user to read in the Search Results Page. If you saw a decrease in CTR, we hypothesize this is a result of the fact that there is more competition in the Search Results Page. You should focus your optimization efforts on sticking out from your competitors both in design and your unique selling proposition. Try testing a Panoramic Gallery that focuses on your main unique selling proposition. Conversion rate, within the context of search traffic analysis, is the ratio of users that installed your app on either the Search Results Page or the Product Page out of the total number of users who viewed your app in a search. Below the line graph that shows CVR per iOS version, there is a table that details App Units, Product Page Views, and Ratio. Use these figures to create your own table like the one seen below. In this example, iOS 11 caused a decrease in the CVR. 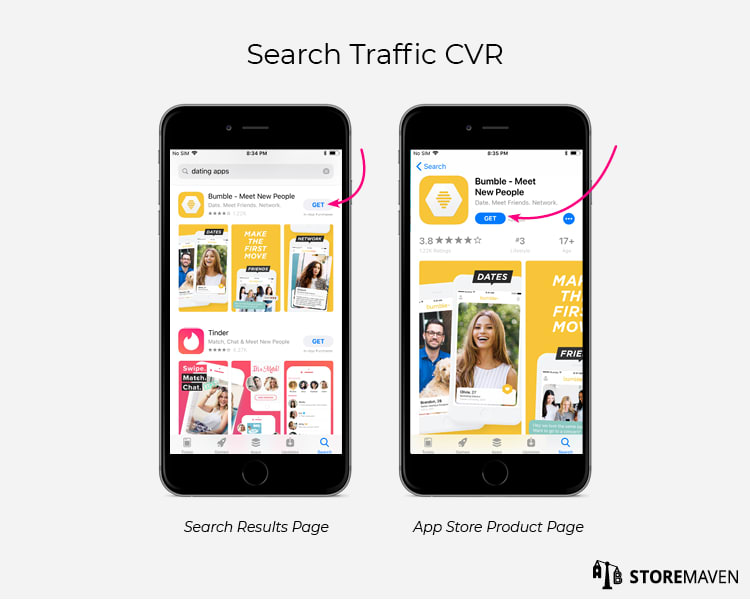 Note that since your app can be installed both from the Search Results Page and the Product Page, CVR tends to be higher than 100%. There is no way to filter installs made on your Product Page alone. Unfortunately, it is impossible to see how many installs your app received directly from the Search Results Page versus installs coming from users who chose to visit your Product Page from the Search Results Page. 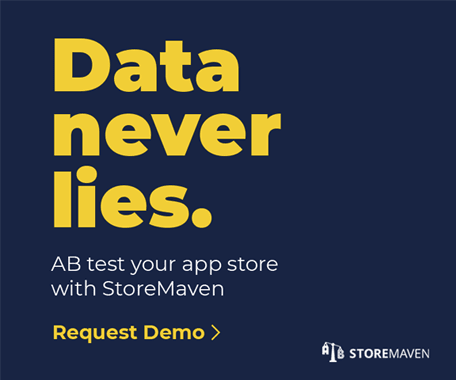 The most scientific and accurate approach for understanding the impact of iOS 11 on your product page CVR (or the impact of any other changes) is by using StoreMaven’s App Store A/B testing platform. That means you will be able to understand the exact implications of the iOS 11 changes made to your iOS 11 Product Page (i.e., App Ranking, Editors’ Notes, What’s New, and video autoplay). You will also be able to understand how to best utilize your marketing assets to increase your conversion rate. Here’s an example of action items for testing. And vice versa… If you have an app with a low App Ranking, then you will want to emphasize more social proof in your messaging (e.g., use a Gallery asset to say, “trusted by more than 1 million users”). Read this for a more detailed account of these performance tests and request a demo here. You should also read this case study to see exactly how StoreMaven increased Wallapop’s app install conversion rates by more than 26%. As opposed to search traffic visitors, these users do not come with a specific need they are looking to meet. Instead, they are looking to get inspired and discover new, cool apps to install. 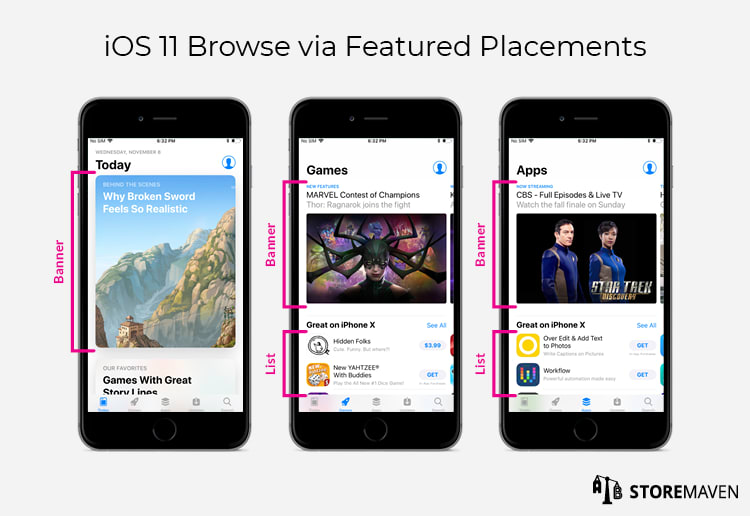 While browsing through the Today, Games, or Apps pages, a user can see (impressions) a featured app in any of the featured placements and either install (CVR) directly from the featured placement or click through (CTR) to the Product Page to install (CVR) the app there. Notice how users can also see (impressions) an app in a List Featured Placement and install (CVR) directly from there instead of clicking through (CTR) to the Product Page to install (CVR) there. A user can see (impressions) an app under the “Top Paid,” “Top Free,” or “Top Categories” lists on either the Games or Apps pages and install (CVR) directly from that page by tapping the “Get” button or click through (CTR) to the Product Page and install the app (CVR) there. As depicted, a user can also click “See All” next to either the “Top Paid,” “Top Free,” or “Top Categories” lists on either the Games or Apps pages, which will direct the user to the “Top Charts” Page. The user can then see (impressions) an app and install (CVR) directly from the Top Charts page by tapping the “Get” button or they can click through (CTR) to the Product Page and install (CVR) there. In order to analyze your browse traffic, you have to understand the significance of three important metrics that we have referenced. These metrics include impressions, click-through rate (CTR), and conversion rate (CVR). You will also need to know how to collect respective data for analysis. Impressions, within the context of browse traffic analysis, are an indicator of your brand’s presence within the App Store. There are two factors that affect your impressions rate within browse and include being featured in any of the browse pages and ranking high within Top Charts listings. 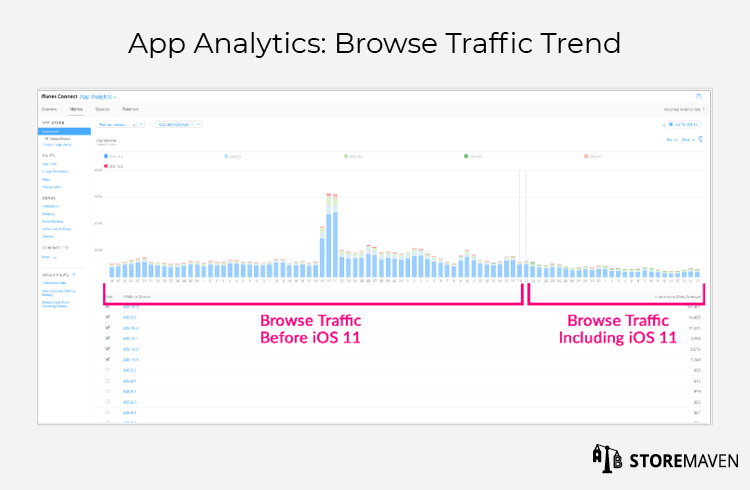 The first step in analyzing your App Store analytics is to look at the trend of your total browse traffic (all bars in the graph). After examining the trend, identify the time period when you first received iOS 11 user traffic. 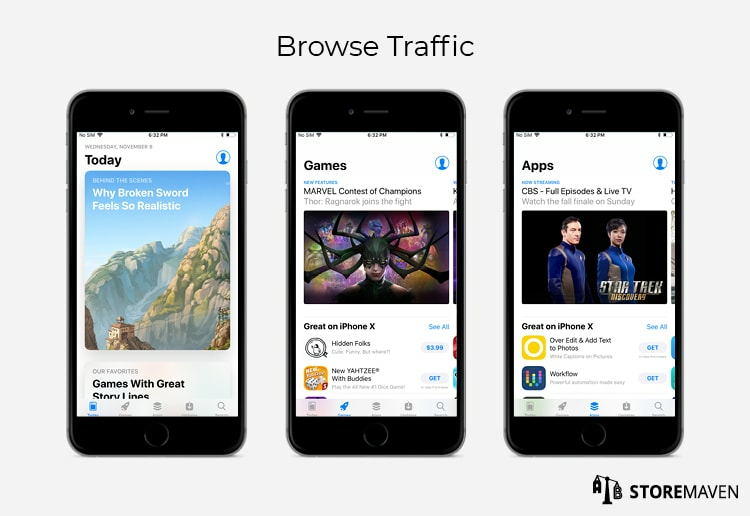 Compare browse traffic before iOS 11 to browse traffic including iOS 11. In the example provided, we can see a decreasing trend since iOS 11 was released. 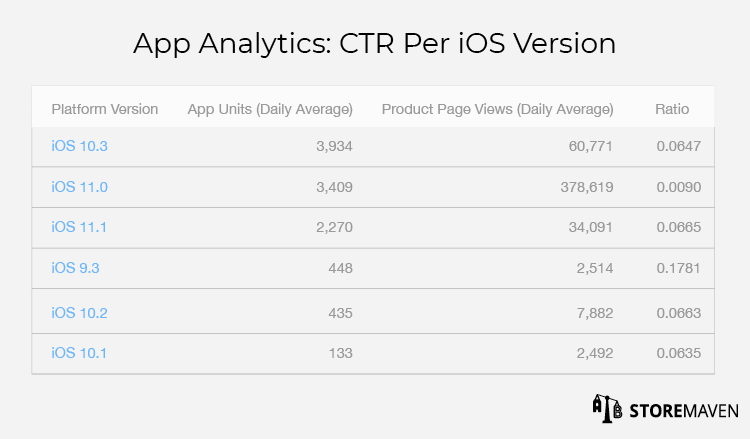 The click-through rate (CTR), within the context of browse traffic analysis, is the ratio of users who click on your app in the Today, Apps, or Games pages to the number of total users who view your app in these tabs. Below the line graph that shows CTR per iOS version, there is a table that details Impressions, Product Page Views, and Ratio (see image above, a condensed version of the table below the graph). Use these figures to create your own table like the one seen below. In this example, we can see that iOS 11 caused a major increase in the CTR, which is directly related to the fact that while browse volume decreased, user intent increased. Conversion rate, within the context of browse traffic analysis, is the ratio of users that installed your app from either Top Charts/Featured Placements or by clicking through to your Product Page and installing there out of the total number of users who viewed your app in any of the browse pages. Below the line graph that shows CVR per iOS version, there is a table that details App Units, Product Page Views, and Ratio (the image above shows a condensed version of the table below the graph). Use these figures to create your own table like the one seen below. 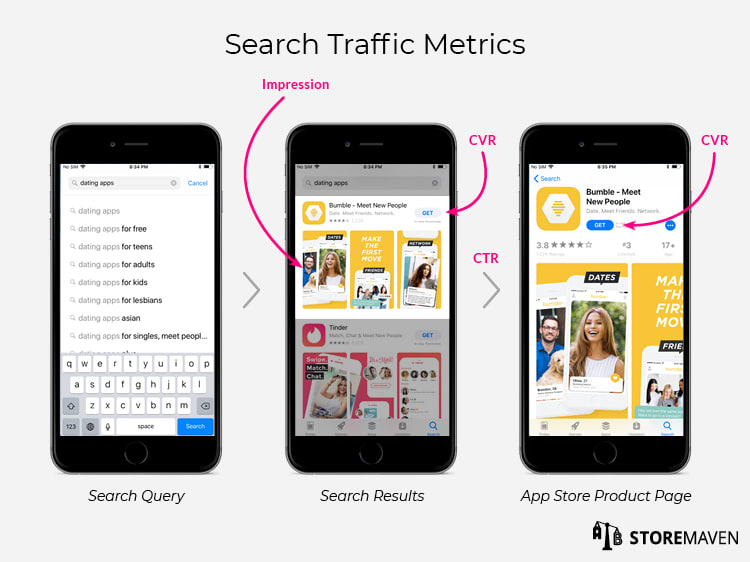 There are three important action items you can incorporate into your App Store marketing strategy to help increase your impressions, CTR, and/or CVR—irrespective of whether you actually saw an increase in any of those metrics following the iOS 11 release. Getting featured is obviously the holy grail for every app publisher, as it inherently boosts your app’s reach across the App Store and subsequently increases your impressions, CTR, and CVR. So how can you get featured? Hate to break it to you, but there isn’t a clearcut formula for getting featured in the iOS 11 App Store. That is, Apple does not offer paid placement opportunities or checklists of requirements for getting featured. What they do offer is a brief list of factors that editors take into consideration, such as: user interface design, user experience, innovation, localizations, accessibility, use of App Store Product Page, and uniqueness. Strong Positioning: Sticking to a unique and coherent statement about who you are and what you offer. Storytelling: The new Today tab resembles an app news hub more than an App Store. Hence, being able to tell a story in your pitch and even offer top-notch content (e.g., videos, visually appealing how-to-play guides, etcetera), could increase your chances of getting featured. For more information on how to increase your app ranking, you can also read this and this. The only difference in optimizing your CVR for browse traffic versus search traffic is the type of traffic you drive to our platform. For search traffic, Search Ads best mimic search traffic. For browse traffic, Facebook and Instagram best mimic browse traffic. Here are 3 initial tests you can start with on iOS 11 to create winning App Store Product Page variations that have the potential to lift your CVR by 66%! Also, here are 9 tips to help you get started! Referral traffic includes all visitors that arrived to your App Store Product Page from app or web sources. We break down referral traffic by the following sources: social traffic (mainly Facebook), Google traffic, and network traffic (SDK platforms). There are numerous referral traffic journeys but all involve a visitor clicking an ad or link, which leads to your App Store Product Page. In order to analyze your referral traffic, you have to understand the significance of three important metrics, as well as know how to collect respective data for analysis. These metrics include impressions, click-through rate (CTR), and conversion rate (CVR). The relevant metrics that can be collected in iTunes Connect are shown in the next several pages. 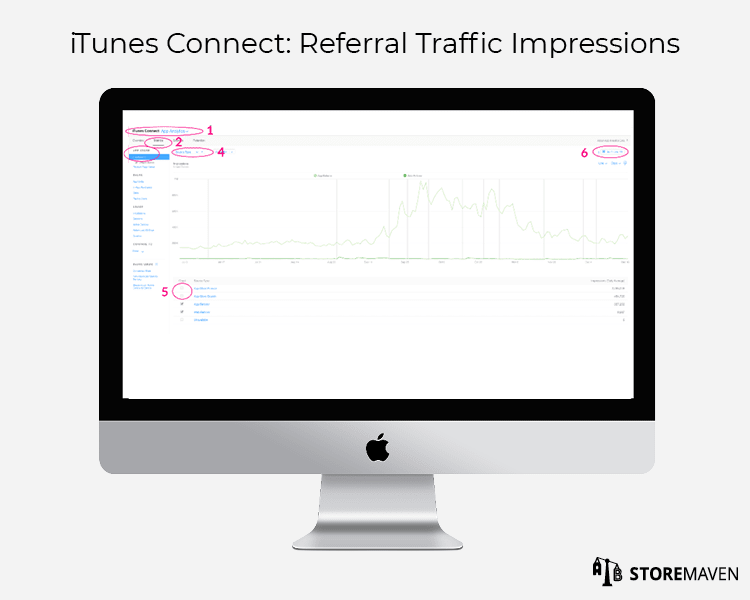 iTunes Connect enables you to analyze referral traffic, which is segmented by web referrals and app referrals. It also offers the option to further break down sources into web referrer URL (for web) or app referrer name (for app). We suggest that you segment your analysis accordingly. Impressions, within the context of referral traffic, are an indicator of your app’s reach through external sources. 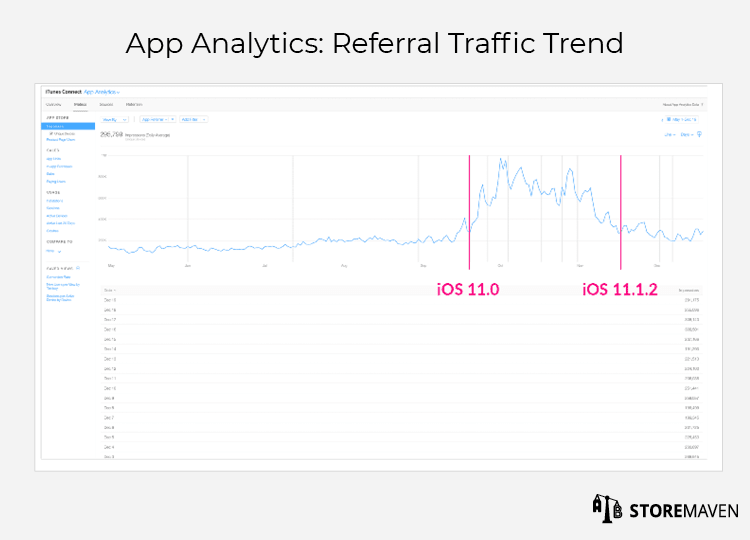 The first step in analyzing your App Store analytics is to look at the trend of your total referral traffic. After examining the trend, identify the time period when you first received iOS 11 user traffic. Compare referral traffic before iOS 11 to referral traffic including iOS 11. In the example shown, we can see that starting from the iOS 11 release, app referral impressions volume increased significantly. Since you largely control the volume of referral traffic (by means of paying for ads for example), then you should know if an increase in traffic makes sense. Conversion rate, within the context of referral traffic analysis, is the ratio of users that installed your app from the Product Page out of the total number of users who were referred directly to your Product Page. Below the line graph that shows CVR per iOS version, there is a table that details App Units, Product Page Views, and Ratio (see Image 1, a condensed version of the table below the graph). Use these figures to create your own table like the one shown below. In the example provided, we can see that iOS 11 caused a decrease in the CVR. For example, if you used the same video that is on your Product Page, or one that is very similar, in a paid ad, it could potentially harm your funnel by conveying repetitive messaging due to the iOS 11 Gallery updates such as video autoplay. 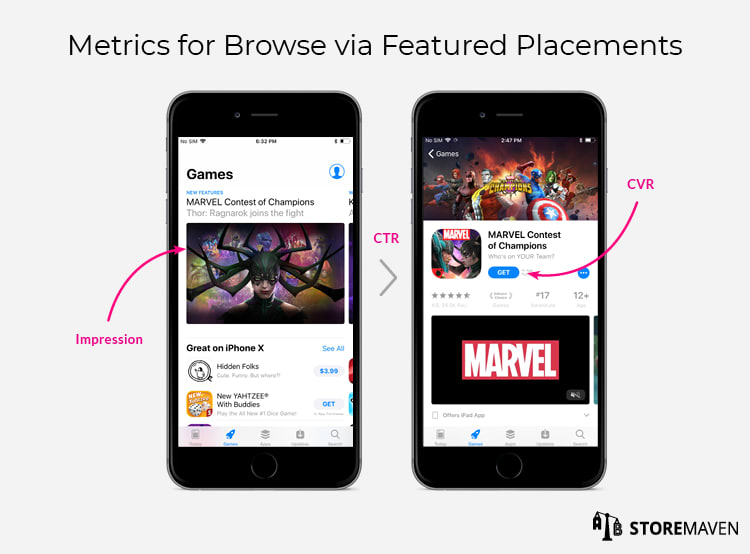 With the updates made to App Analytics on iTunes, for the first time ever you can understand your search performance, what portion of organic installs comes from the charts, the impact of getting featured, and even identify your top referring apps and websites. This is a game changer for ASO. That is, you are now able to accurately monitor conversion rates and growth from organic channels. You are also able to see your organic traffic attribution and measure the impact of creative and keyword ASO changes. All in all, you are able to measure the impact of ASO, and we hope you now know exactly how to do it.